We have had record breaking cold this winter. Seem has been seeming to take its sweet time showing up. I have decided that maybe just maybe if I started sewing for spring I could help encourage it along. I love circle skirts and have made several from knit fabrics. This time I made one with a woven fabric from my stash. I couldn't quite face hemming the skirt so I attached some bias tape rather than hem the skirt. I'm glad I did. I think the contrast at the bottom of the skirt is fun. We have snow today clearly I need to do some more spring sewing! 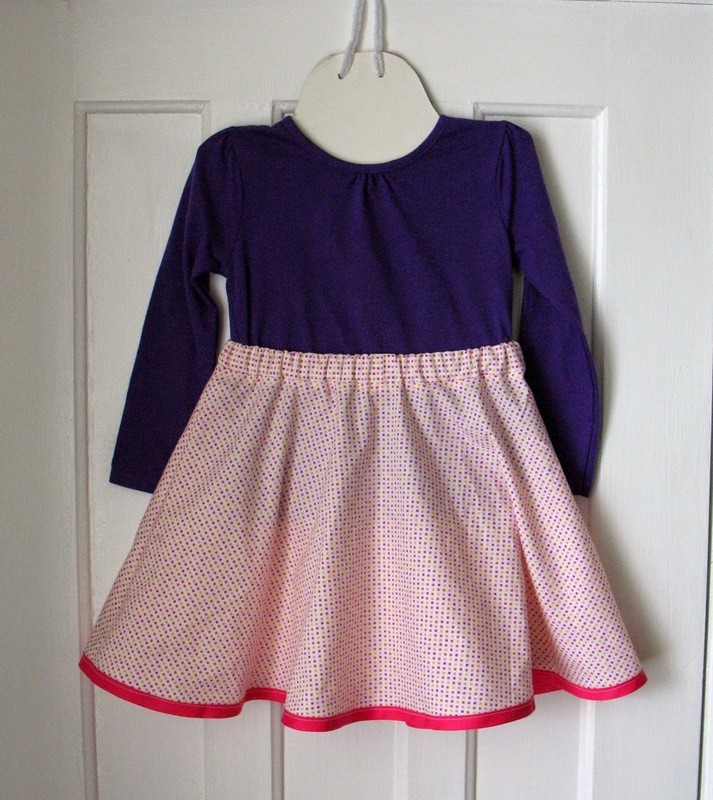 Yes, I usually make circle skirts from knits so I can skip hemming. I should try a rolled hem on my machine. Thanks for the suggestion!